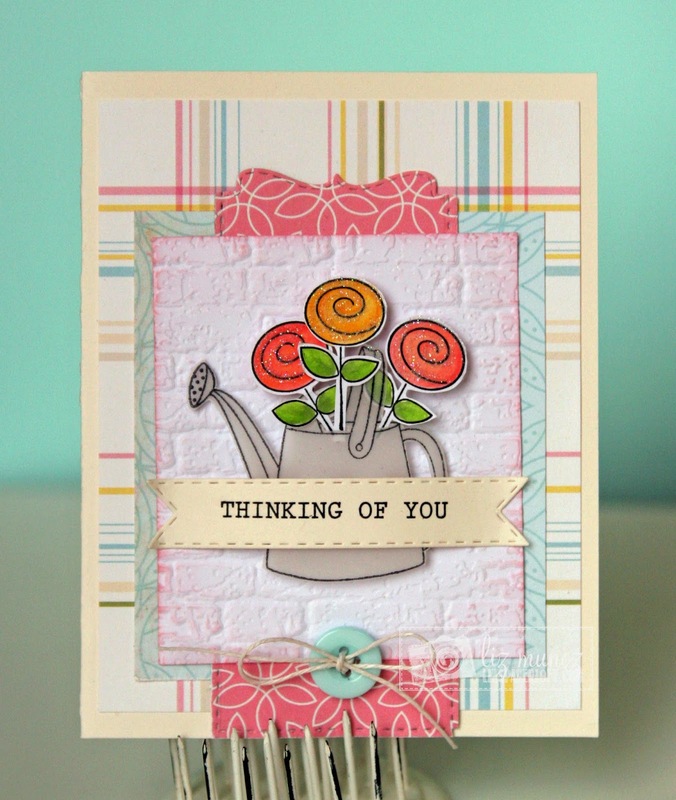 Liz's Paper Loft: Thinking Of You! Happy Wednesday, hope you're having a great week so far! Today I have a really quick card to share with you. We've had a super strange winter/spring this year, so I guess I've been really wanting it to be spring and stay spring. In the SF Bay Area, we just aren't used to 80 degree weather and then the next day hailing peas! 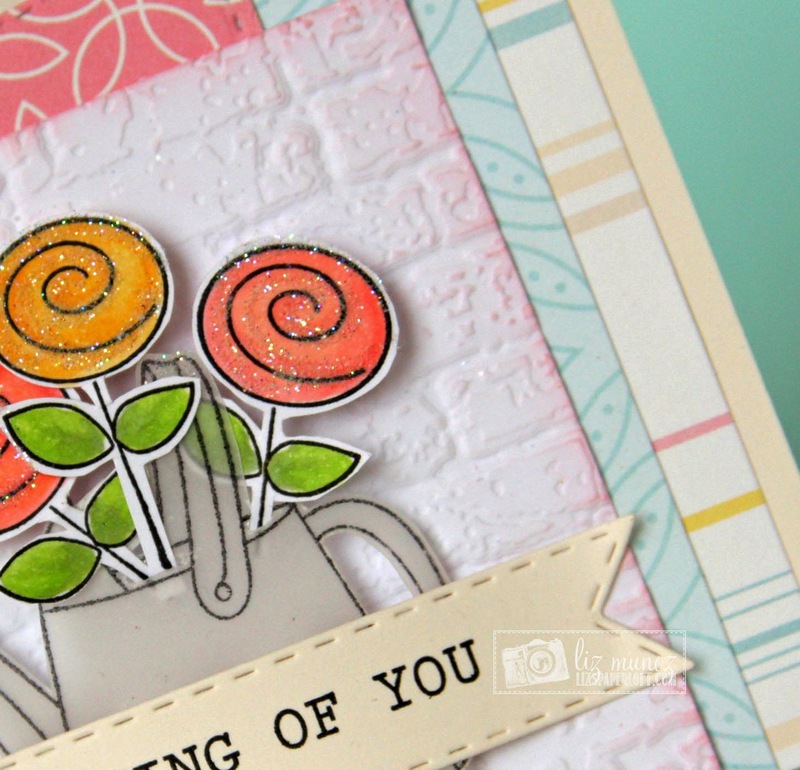 I think that's why I was so drawn to a "springy" card! I stamped the PKS watering can on vellum with stazon ink, then carefully cut it out, and did the same thing for the flowers after coloring with copic markers. Of course no card of mine would be complete without a bit bling! april 2013 stamp of the month set ~ this stamp set is on sale right now too!!! Be sure to check on the links in the upper right hand corner of my blog for different challenges going on! There are always fabbie prizes to be won! Absolutely adorable!!! 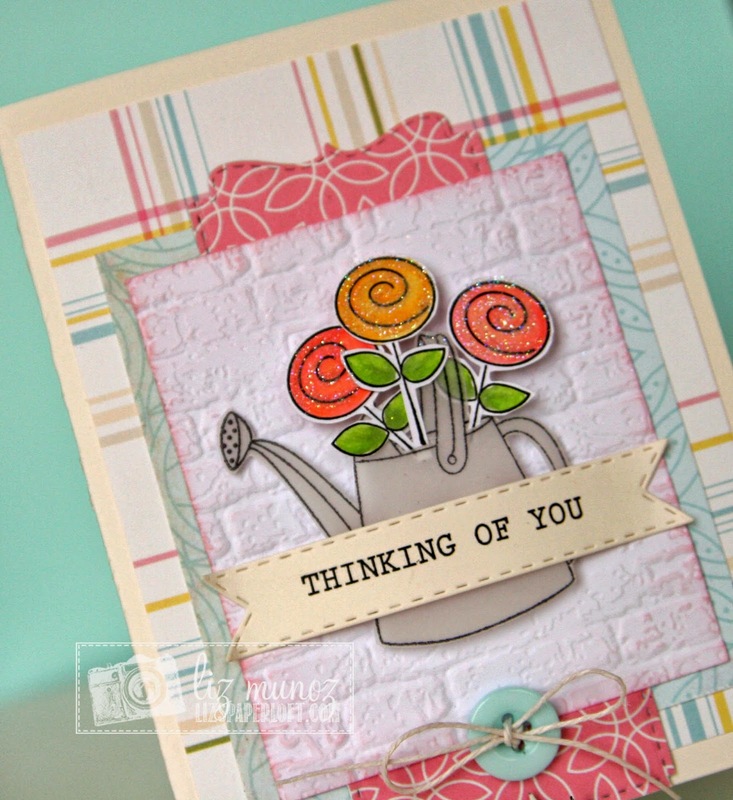 Your background layers are awesome, Liz, and that watering can is so cute with those fun flowers! Liz your card is so pretty! I really love the sparkle, such a lovely touch. Liz ~ BEAUITFUL card! Okay I am in AWE that you thought of the die thing with the pink paper!!! CLEVER! Gorgeous coloring again along with the design!